The Christchurch terror attack has shocked the entire World, terrorism has deepened its roots making the world an unsafe place to live. Once the defaming incident was out, the entire world expressed their grief over the issue, but the fact is 49 innocent people lost their lives while they were offering prayers to the almighty. The Bangladesh team, who was there to play a packed international tour narrowly escaped as one of the women informed them about the havoc happening inside and asked them to leave immediately. Khaled Mashud, the team manager, mentioned how the Bangladeshi players nearly dodged the horrible incident by just 3 or 4 minutes. After the incident, the third and final test between Bangladesh and New Zealand was canceled and the team safely returned home. 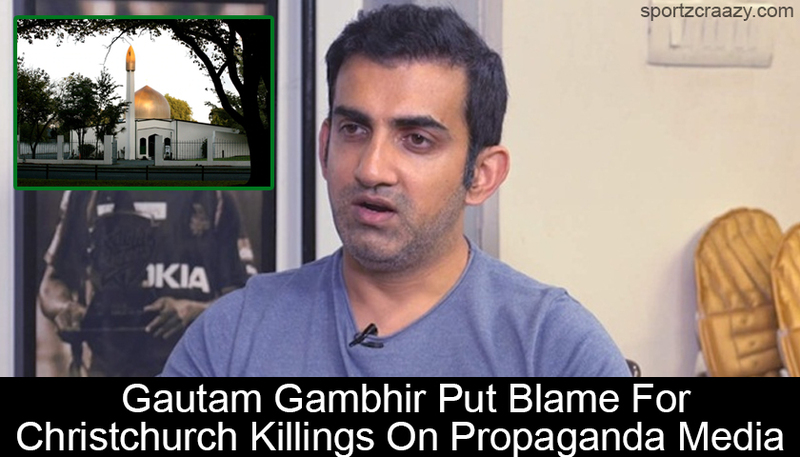 What Gautam Gambhir Had To Say On Christchurch Incident? Although, he called secularism the best thing a democratic country could have.